Molise is a well-kept secret, even from Italians. HomeAll Posts...Molise is a well-kept secret, even from Italians. ..in a country full of tourists and English speaking waiters, it is a great treat to find such an authentic and unspoilt place..
None of the Italian visitors whom we joined around the table at Agriturismo di Santa Lucia had ever been before, or knew anyone else who had! They marvelled at what they had discovered, and in a country full of tourists and English speaking waiters, it is a great treat to find such an authentic and unspoilt place – and to be able to practice Italian of course! Agnone in Molise is full of variety – one aspect being high quality food products, most made by hand using ancient methods and recipes passed down through generations. In an area rich with natural beauty and forests, another of Molise’s ancient treasures – are truffles (tartufi). 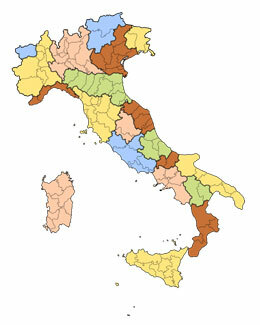 Italy is the world’s largest producer of truffles and the region of Alto Molise is Italy’s second biggest contributor. Known primarily for white and scorzone varieties, found during spring and summer, Molise’s clean and remote forests also produce black summer truffles, from June to November. These are more plentiful, so gain lower prices, but are of exceptional quality and flavour, loved by chefs. Truffles develop over several months and only when conditions combine to create the right environment, surrounding vegetation, acidity of the ground, temperature and dampness. Essentially they are mushrooms that grow underground, those above the soil are prone to destruction and have been prized for over 2000 years. This summer we befriended Valentina Di Niro and her husband Enzo who run he beautiful restaurant at Colle Verde. Enzo is a keen truffle hunter and has trained his springer spaniel, Paco, to help.